Collins Booksellers - Chinese-Heritage Students in North American Schools by Wen Ma & Guofang Li, 9781317331032. Buy this book online. This comprehensive look at Chinese-heritage students’ academic, sociocultural, and emotional development in the public schools examines pertinent educational theories; complex (even inconvenient) realities; learning practices in and outside of schools; and social, cultural, and linguistic complications in their academic lives across diverse settings, homes, and communities. Chinese-heritage students are by far the largest ethnic group among Asian American and Asian Canadian communities, but it is difficult to sort out their academic performance because NAEP and most state/province databases lump all Asian students’ results together. 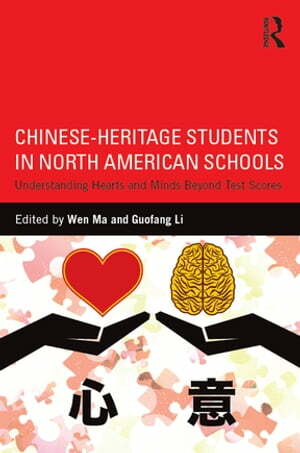 To better understand why Chinese-heritage learners range from academic role models to problematic students in need of help, it is important to understand their hearts and minds beyond test scores. This book is distinctive in building this understanding by addressing the range of issues related to Chinese-heritage K-12 students’ languages, cultures, identities, academic achievements, and challenges across North American schools.